Wii fans should start thinking about how to spend their last Wii Points and which games they'd like to keep installed on their systems. The Wii, Nintendo's breakthrough motion control-based home console, has lead a good life. Since its release in November of 2006, the system has sold over 67 million units worldwide, making it the best-selling Nintendo console of all time. It was also the first Nintendo console to offer proper internet connectivity, and as such, the internet-based Wii Shop Channel became the go-to place to check out demos and purchase new games. All good things must come to an end, however, and with the success of the Nintendo 3DS and the rising dominance of the Nintendo Switch, Big N has decided to finally pull the plug on the Wii Shop, which will effectively end any future the decade-old console might have still had. When Does The Wii Shop Channel Close? "You can still add Wii Points until March 26, 2018, and purchase content on the Wii Shop Channel until January 30, 2019. 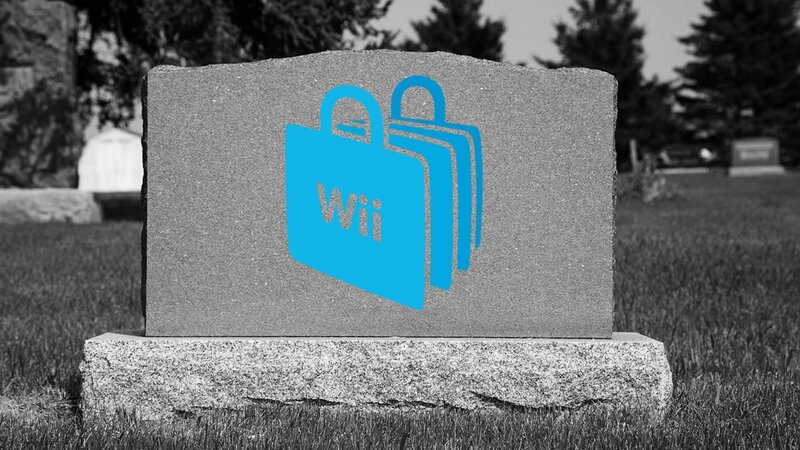 In the future, we will be closing all services related to the Wii Shop Channel, including redownloading purchased WiiWare, Virtual Console titles, and Wii Channel, as well as Wii System Transfer Tool, which transfers data from Wii to the Wii U system. If you have Wii Points to spend, content you want to re-download, or content you’d like to transfer from a Wii system to a Wii U system, we recommend you do so while the services are still available." This news is particularly important for owners who still use their Wii, as sooner or later they'll have to consider which games they want to keep installed on the system. Without being able to re-download games in the future, the Wii will be effectively locked-down with whatever software that has already been installed, which includes everything from Virtual Console titles, media streaming services like Netflix, and all WiiWare titles. What Does This Mean For Wii Owners? For now, all available software is still available for download and purchase. And if there are any Wii owners who happen to be Wii U owners, those users will be able to use Nintendo's transfer tool to transfer most of their software over to the Wii U, which should remain active for at least a little while longer. However, Nintendo has stated that even this option won't last forever, so the sooner action can be taken, the better. While action like this is often inevitable, it does raise general concerns about relying on the likes of digital marketplaces. With options such as Steam or the PlayStation Network, users will always be able to access their games because those respective networks remain a constant back-end service amongst all hardware changes. Nintendo plays by no such rules, of course, which is one of many reasons why game fans still prefer to buy physical copies of games, particularly for Nintendo consoles. It's still unknown whether or not Nintendo intends to create a future-proof options with their upcoming Nintendo Online service, so for now, all fans can do is hope. Relive the glory days of past Nintendo hardware by checking out our lists of the Best Nintendo DS Games, the Best Game Boy Advance Games, and The Best Game Boy Games.